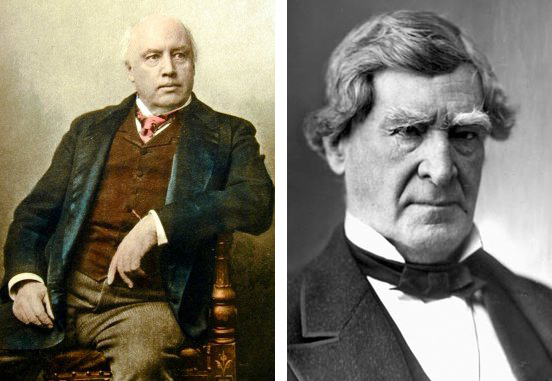 Editor’s Note: Since Ingersoll wrote no books nor any comprehensive single statement of his case against Christianity, the next best thing might be found in his written debates — the best kind since there is no room for acting; or excuse for careless words or forgotten points. He had several of these with leading figures of the day, including former British Prime Minister William E. Gladstone; Cardinal Manning, Archbishop of Westminster; Rev Dr Henry M. Field; and many others. Direct links to all of these can be found in the Indexes here. Ingersoll was invited by The North American Review to lead off with his view of the Christian religion (The Christian Religion) on the promise that they would find someone to answer and that Ingersoll could respond to that answer. They found Black, a surprise to Ingersoll as he expected a theologian. Black makes a powerful, lawyerly indictment against Ingersoll (Jeremiah Black Responds) which surely must have thrilled thousands. It is well worth reading to get a feel for the state of the case as it was thought of some 134 years ago; and to relish his words and style. But it could be skipped since in his answer (Ingersoll Answers Black), Ingersoll recaps Black’s points as he addresses them. Immediately following is his entire debate with Jeremiah Black.